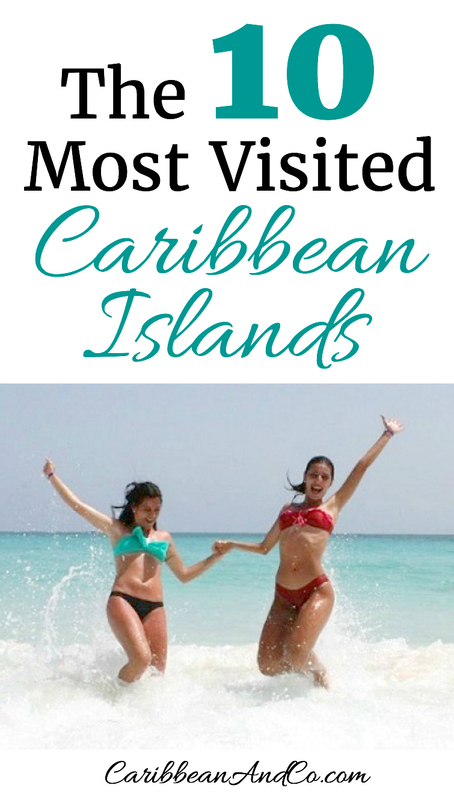 The 10 Most Visited Caribbean Islands - Caribbean & Co. Irresistible beaches, breath-taking landscapes and a cornucopia of vibrant cultures continue to woo 30+ millions of visitors to the Caribbean year after year. From luxury getaways to affordable adventure trips and festivals, each destination offers travelers its own unique culture and appeal. Here are the top 10 most visited Caribbean islands which account for nearly 80% of visitors to the Caribbean region. 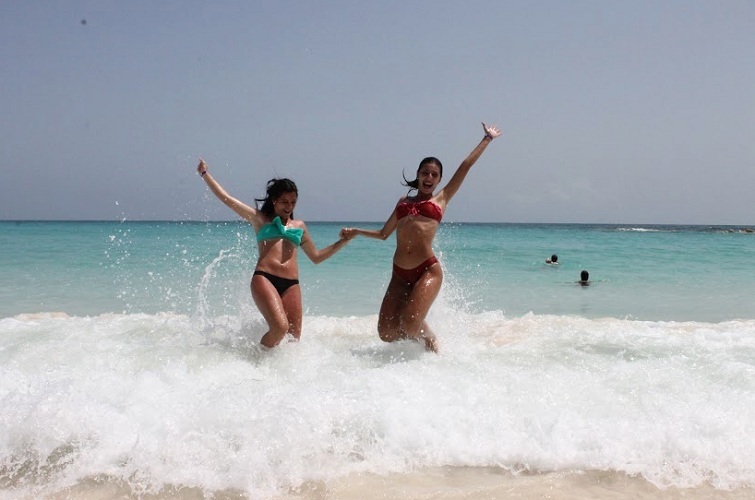 With its seemingly endless white-sand beaches, the Dominican Republic is a popular getaway for tourists in search of an idyllic vacation, plenty of outdoor adventure and a tinge of colonial history. From its jaw-dropping cliffs to peaceful mangrove lagoons, it’s easy to fall in love with the DR’s natural beauty and rich Spanish heritage. Bountiful palm trees complement the turquoise waters of popular Punta Cana to create the perfect postcard from this tropical destination. Outside of Punta Cana, the Dominican Republic offers an abundance of aquamarine adventures at Bahía de las Águilas and the Samaná Peninsula. Dominican Republic: Beach Day at Hard Rock Hotel Casino Resort Punta Photo Credit: Dominican Republic Tourist Board. Tourists from around the world are drawn to the mystique of Cuba, an island that boasts a pristine coastline, an abundance of parks and several UNESCO natural reserves. Cuba offers up an eclectic blend of old world charm in its neoclassical and baroque architecture, mixed with post-modernist styles and natural landscapes. The city of Havana is well known for its lively entertainment featuring jazz and Latin music and dance, and copious amounts of rum-flavored drinks. Also with plenty of vintage American cars, Cuba also has plenty of museums and art galleries that offer a window into the country’s rich history and culture. 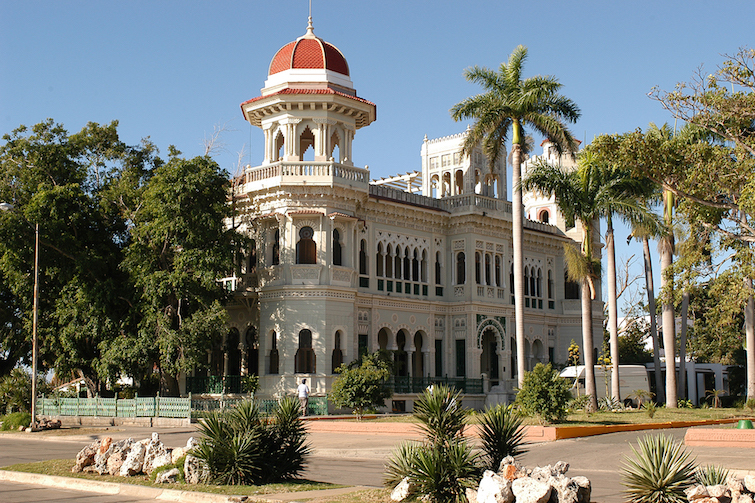 Cuba: Palacio de Valle. Photo Credit: © Cuba Tourist Board. From Negril’s Seven Mile Beach in the west to breath-taking waterfalls in the east, Jamaica is well known as the playground of the Caribbean. With more than 170 attractions spread out over the island, there’s literally something for people of all ages to enjoy. Stroll the beaches of Montego Bay by day and dance to the latest reggae music at one of the city’s nightclubs. In Kingston, explore the life and work of the legendary Bob Marley at his namesake museum and have lunch at Usain Bolt’s Tracks and Records. Take a thrilling bobsled ride through the forest and go swimming with dolphins in the resort town of Ocho Rios. Jamaica: Stunning views from Firefly Ocho Rios. ©Jamaica Tourist Board. There is much to be enjoyed in Puerto Rico, an island with old Spanish charm and modern attractions and accommodations. Puerto Rico is home to the El Yunque Rainforest, the only tropical rainforest in the United States, as well as Casa Bacardi, the world’s largest rum distillery where the piña colada was invented. Its blissful beaches, 23 golf courses, and captivating culture attract scores of visitors to Puerto Rico every year. The island’s breath-taking beauty includes three of only seven bioluminescent bays in the world. 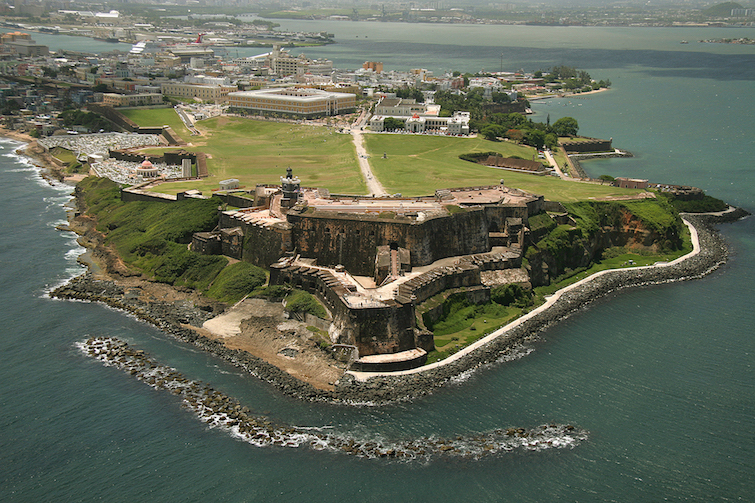 Puerto Rico: 16th-century citadel in San Juan named Castillo San Felipe del Morro. Photo Credit: © Puerto Rico Tourist Board. The beautiful island chain of the Bahamas is a haven for relaxation and its sun-drenched beaches are among the world’s best. With its serene, laidback atmosphere, pristine waters, and rich, vibrant culture, the Bahamas is perfect for a quick weekend getaway or an extended tropical vacation. Take a trip to The Exumas to see the swimming pigs and explore other islands between sips of Bahama Mama, one of many rum-based cocktails on the island. Be sure to try the famous conch salad and craft beer from the Pirate Republic Brewery. 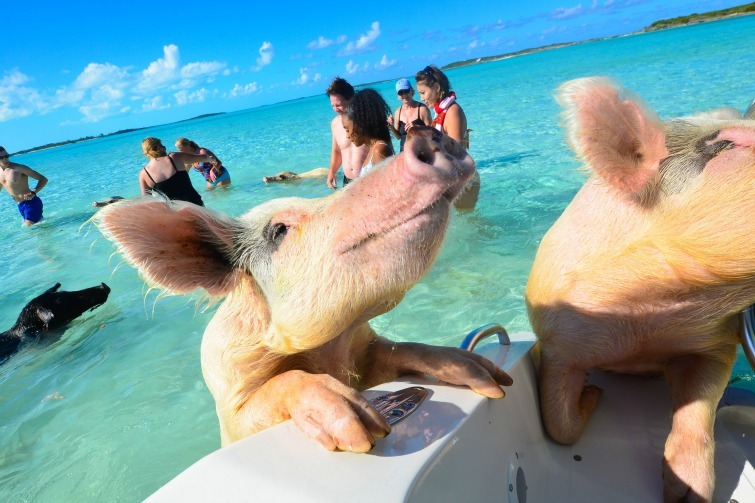 Bahamas: Exuma – Swimming with Pigs. Photo Credit: © Bahamas Tourist Board. Visitors to the Dutch enclave of Aruba can enjoy ultimate relaxation on its breath-taking white-sand beaches or embark on thrilling escapades to explore the natural landscape. The coastline offers an abundance of activities for the watersport enthusiast including snorkeling, diving, and windsurfing. There are also many land-based options such as horseback riding and hiking. When you’re done sunbathing at one of its uncrowded beaches, take a dip in the natural pool at the Arikok National Wildlife Park or stroll through the capital, Oranjestad, and gaze at the city’s amazing colonial-era architecture. 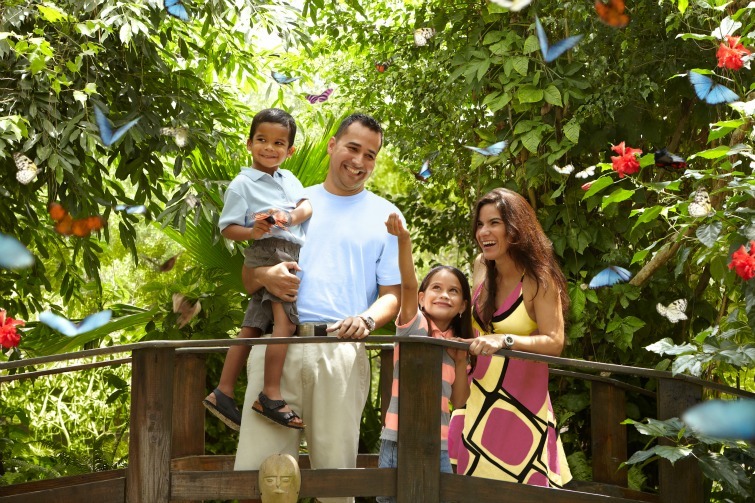 Aruba: Family At Butterfly Farm. Photo Credit: © Aruba Tourism Authority. There’s so much to do in the US Virgin Islands (USVI), from exhilarating adventures to tranquil relaxation and a host of activities in between. Island hopping between St. Croix, St. John and St. Thomas is a breeze with regular ferries between the islands. Explore the rich cultural diversity of the islands through mouthwatering local dishes and historic European architecture. When you’re tired of exploring, laze away at the beaches by day, and enjoy the spectacular bioluminescent bays at night. Shopping is also a major attraction of the USVI, thanks to a $1,600 duty-free allowance. US Virgin Island: Carnival Revelers. Photo Credit: © Gary Felton via US Virgin Island Department of Tourism. Like most Caribbean islands, Barbados has a tropical climate boasting average temperatures of between 24°C and 29°C making it the perfect winter getaway. Travelers are drawn to the warmth of the island and its people, basking on its white sand beaches and countless off-road adventures. Discover the natural appeal of the Welchman Hall Gully and Flower Forest or go on an intriguing exploration of Harrison’s Cave. Snorkelling, surfing, diving and paddle boarding are just some of the activities for the adventurous traveler in Barbados. 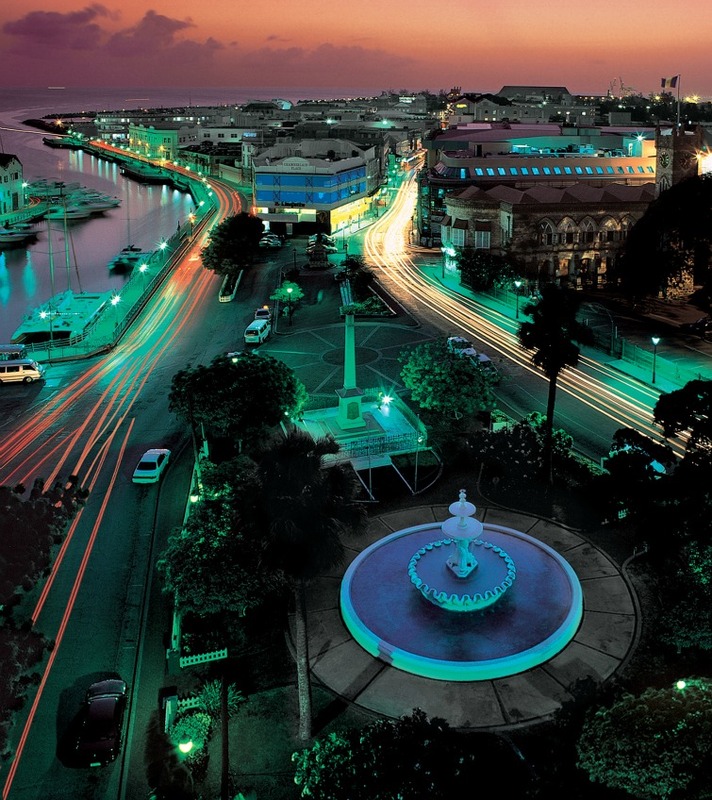 Barbados: Evening View of capital Bridgetown. Photo Credit: © Barbados Tourism Marketing. The magic of Martinique can be found in its diverse creole cuisine, influenced by the country’s African, European and Indian heritage. The French island is a nature lover’s paradise with spectacular waterfalls, natural rivers, and magnificent landscapes. Adventure seekers have an abundance of activities to choose from including hiking, horse riding, and bird watching, as well as diving, snorkeling, and kitesurfing. Martinique is also home to a dolphin sanctuary where visitors can enjoy dolphin watching and view several species all year round. Martinique: View of Saint Pierre Pelee. 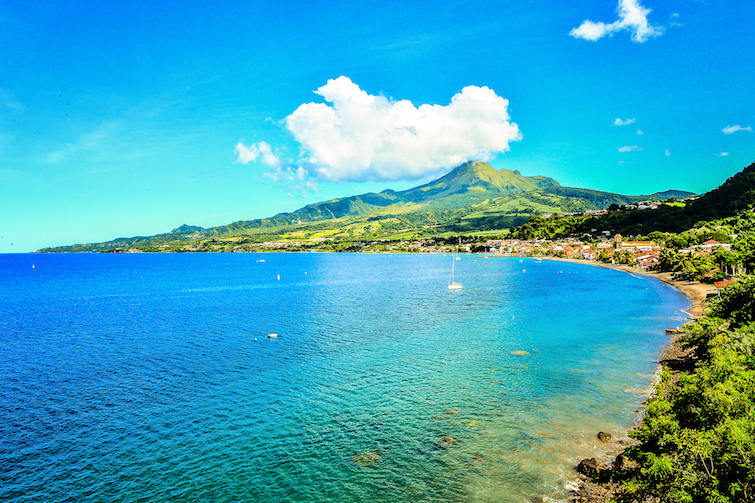 Photo Credit: © Martinique Tourism Board. 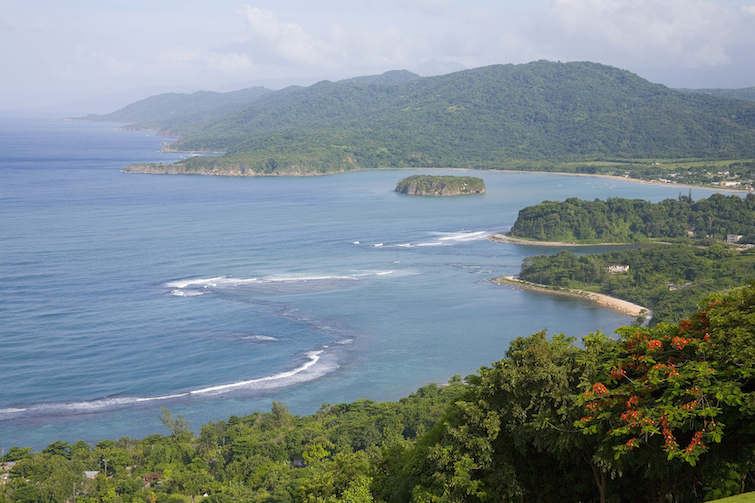 So which of these top ten most visited Caribbean islands have you visited? And more importantly, which do you plan to visit next? Beyond their beautiful beaches, each has a wide range of top attractions all just waiting to be explored! 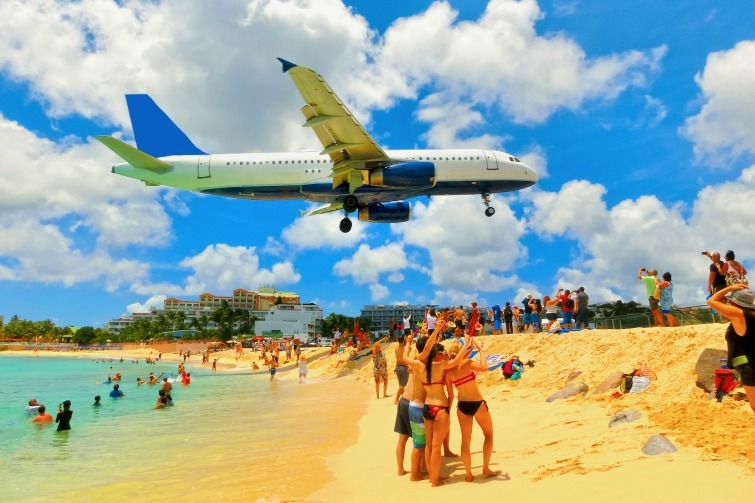 Rounding out the top 10 most visited Caribbean islands is St Maarten. And with more than 300 restaurants on its tiny landmass of just 37 square miles, St. Maarten offers up an extensive array of culinary delights which has earned it the nickname of Culinary Capital of the Caribbean. The twin Dutch-French territory gives visitors the best of both worlds and is known for a wide range of duty-free shopping in its capital Philipsburg, lively entertainment and numerous world-class casinos. Vacationers are attracted to its scenic beaches and exciting watersports like snorkeling and scuba diving. English, French, and Dutch are spoken on the island and multiple currencies are accepted, including the euro and US dollar. So have you visited one or more of these top ten most visited Caribbean islands? If not, which one would you like to visit? 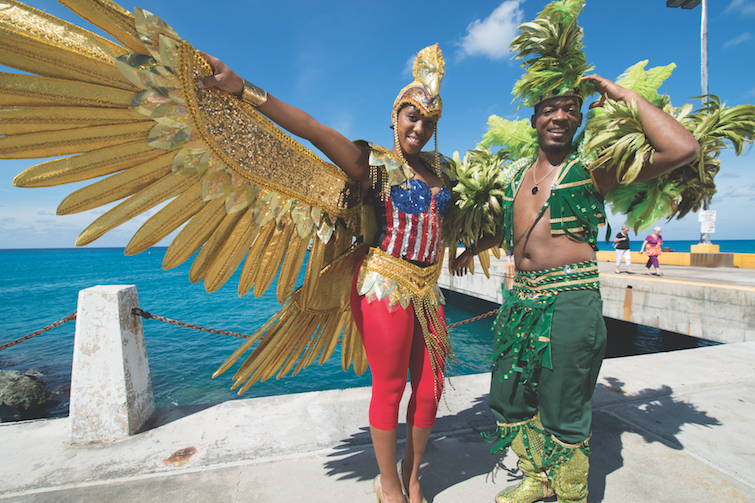 Like all Caribbean destinations, they offer up authentic and exciting experiences. Note: Stay-over numbers for some destination are estimated as figures for the full year have not yet been reported to the Caribbean Tourism Organization. Note: Originally published September 10th 2014, this post was updated February 21st 2018.